Cape Town is one of the most spectacular cities I have visited in my many years of travel. From its picturesque beaches, abundance of outdoor activities and vibrant local culture, Cape Town offers something for everyone. Kids especially will love taking a cable car up the mountain, watching penguins play on the beach and exploring neighborhood playgrounds. It’s a beautiful, friendly and accessible city that welcomes visitors easily, much like my other favorite city, San Francisco. Cape Town is a wonderful place to base yourself, for as long as you possibly can! The problem is knowing where to base yourself! While planning our trip to the city, we were stumped about what area would be best for families. There is not a ton written on exploring Cape Town with kids, so we took a gamble and chose the safe bet of the V & A Waterfront. 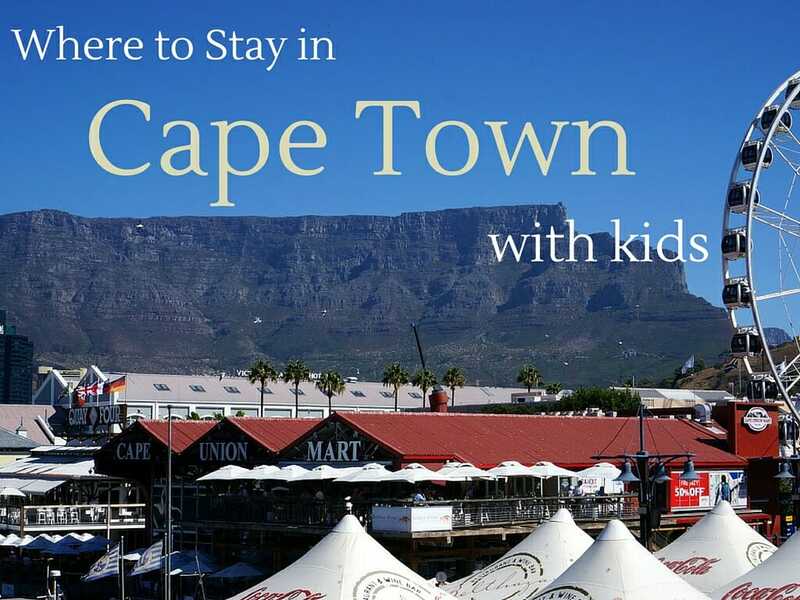 It has its perks, but after thoroughly exploring the city, I have even more recommendations on where to stay in Cape Town with kids. This is my absolute favorite area of Cape Town. If I were to visit again, this is where I would stay. Kloof Street should top your must visit list if you want to get a real feel for life in Cape Town, or at least the life of Capetonian hipsters! From top to bottom, Kloof Street is filled with great people watching, adorable restaurants, and hip and quirky shops. Take your time sampling the amazing array of delicious cafe’s, bakeries and coffee shops as you explore the area. Our favorites – Avant, a great pop up shop with local African goods, Cafe Paradiso a super kid friendly spot for a leisurely meal as well as the adorable playground the kids will beg to return to every day! There is even a Woolworths for you to pick up some groceries if you are in an Airbnb or just need some snacks for the littles. Kloof Street feels like a village within a city, which proves to be the perfect base for exploring Cape Town. Stay at the Belmond Mount Nelson Hotel for luxury (stocked with my favorite soap ever – Africology) or find an Airbnb in the area. It is a safe, family friendly area filled with locals who will welcome you into their hood. The V & A Waterfront is a must visit on every itinerary with good reason, as it is the tourist hub of Cape Town. The areas is loaded with restaurants and cafe’s at every step, more shops than you could even visit and the always fun street entertainment aimed at tourists. Food, shopping and entertainment is the ideal combination for many families when looking for a place to stay. If you are OK dealing with the absolute touristyness of this area (think Fisherman’s Wharf in SF), the V & A Waterfront will be a good bet. You will never run out of places to eat and there are tons of things for the kids to do without ever leaving the harbor. 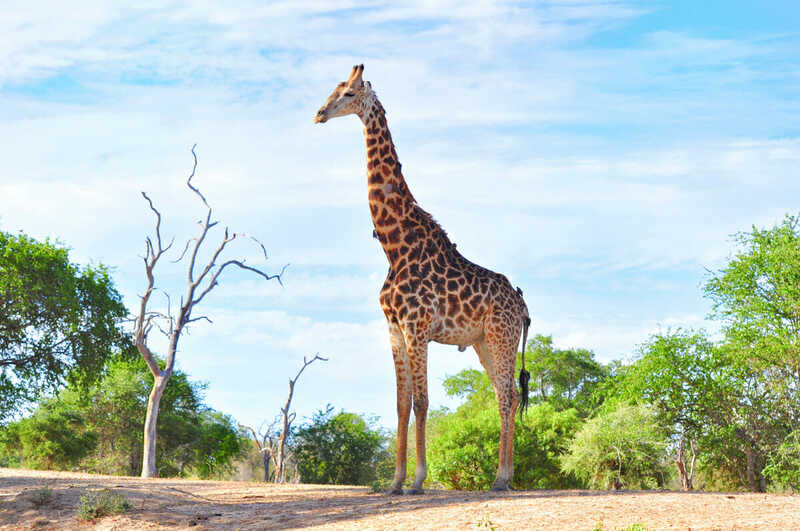 From the Cape Town Wheel to the pirate playground, Hamley’s train and the Two Oceans Aquarium, you could spend days without ever leaving this area. Not to mention the massive mall that all of this is interwoven into where you will find more restaurants, grocery stores, shops and even a post office! Don’t miss the Watershed for fabulous boutique style shopping for all your souvenir needs. We would recommend staying at the Table Bay Hotel for convenience to the main parts of the waterfront or the One and Only for all around luxury with a kids club and other kid friendly amenities. However, there are other more mid-range options in the area like The Commodore. There are also an abundance of Airbnb and apartment hotels in the immediate area. Cape Town city center is probably the most urban feeling of all of the areas I would recommend staying in. This is for the families who really want to be in the midst of life in Cape Town – not just hipster life. Staying in the city center puts you within walking distance to many of the city’s attractions. Walk to Bo Kaap to eat deliciously authentic local food and take your photo in front of beautifully colored homes, walk to Green Market Square to do some souvenir shopping (during the day only), Long Street for bars and cafes and walk to the Company’s Garden to let the kids run around, feed squirrels and eat at the delicious restaurant in the park. There is so much to do and explore in this area, however we were told that some parts of it are off limits after dark. At night I would recommend taking a taxi or uber rather than walking in unknown areas. There are many hotel and hostel options in the area, but for families I would recommend staying at the Hilton Cape Town City Center Hotel which is steps away from Bo Kaap and a little distance from some of the grittier parts of the center of town. For families who want to get out of the city center and enjoy the beach life of Cape Town, Camps Bay is the perfect place to do this. The Twelve Apostles Hotel and Spa is the go-to hotel for families who want luxury, relaxation and beautiful beach time. 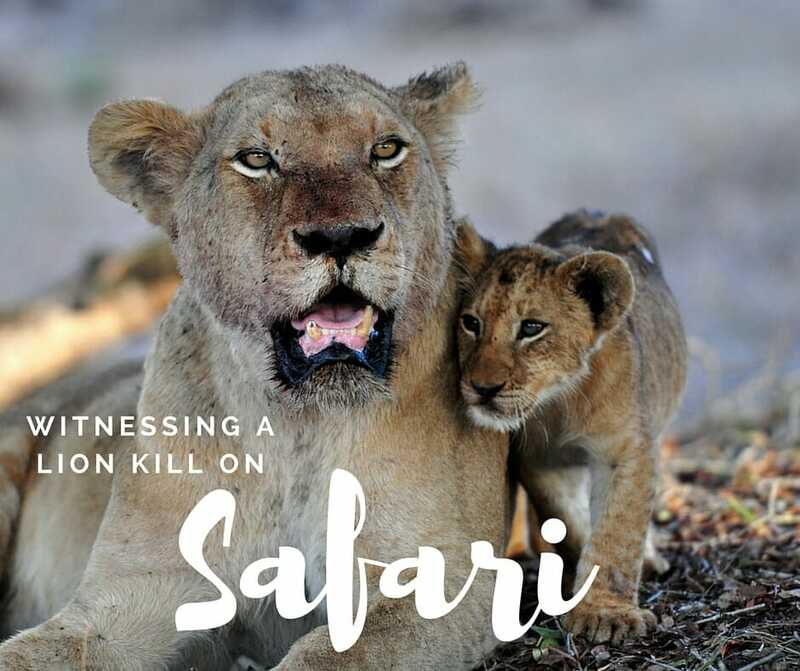 If that is too far from the action for you, there are several apartment hotels and Airbnb’s that would be great for families, a few minutes walk from the beach. Camps Bay feels like a small beach side village (think Malibu) with gorgeously expensive homes and apartments all looking out over the ocean or the mountains behind. You might see people riding horses on the beach, playing in the surf or just wondering around the shops in town. Staying in Camps Bay will be a relaxing stay away from all the hustle and bustle. But don’t fret, all of the attractions of Cape Town are only a few kilometers away by taxi or uber. 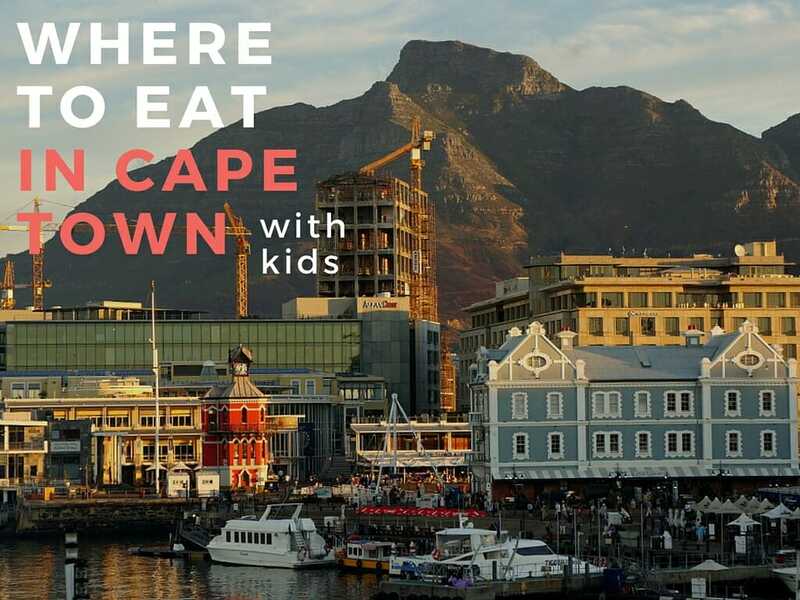 Have you been to Cape Town with kids? 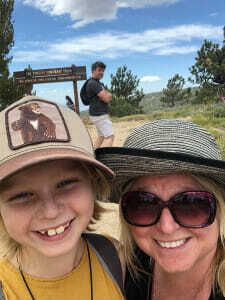 Where do you recommend families stay? We are headed to Cape Town tonight for a return visit. We liked our stay at Winchester Mansions in Sea Point so much that we are returning there again. The hotel has the best family suites we have ever seen (sleeping balcony for our 7-year-old, a separate bedroom for our 2-year-old, a huge master bedroom AND a lounge area). The breakfast is terrific and the free shuttle to the waterfront is always available. Cape Town is so much fun with children! Clara this sounds like an amazing find! Thanks for sharing with us!